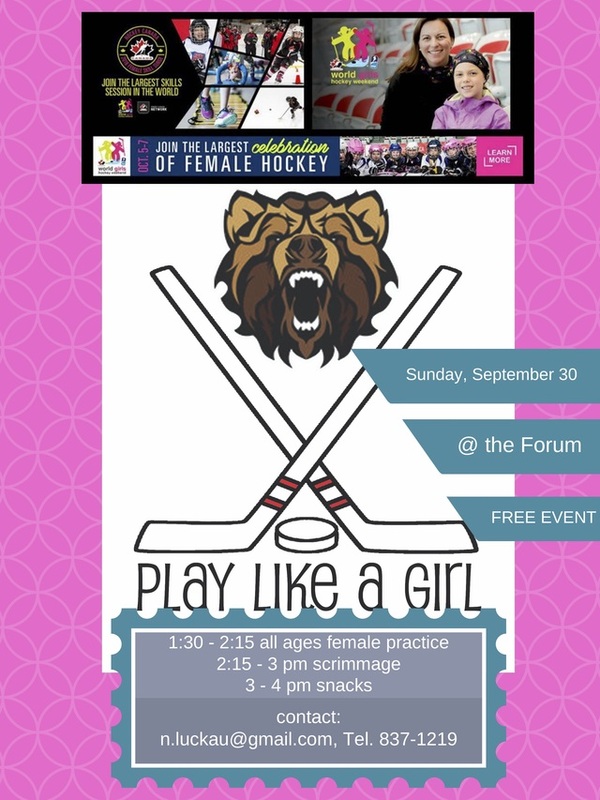 Join the Revelstoke Kodiaks for this fun ice session in celebration of World Girls Hockey Weekend! A couple of our fabulous coaches will run a fun skills session for 45 minutes and then we will scrimmage. Of course there will be snacks after! Females of all ages and skill level welcome! No gear? No problem! We will help you get set up.